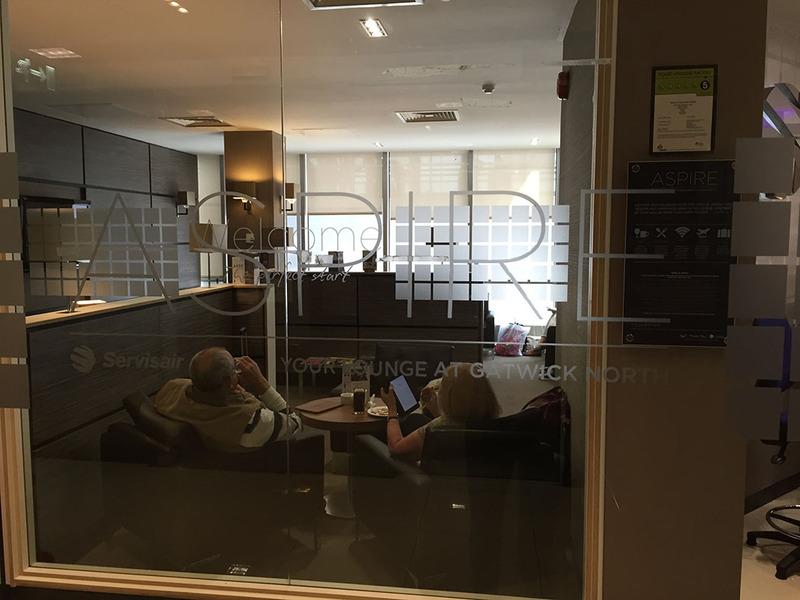 I usually head straight to the No 1 Lounge in London Gatwick’s North Terminal, but since writing my article about the new Aspire Airport lounge opening in Heathrow Terminal 5 I have been wanting to test the other Aspire lounges to see what is on offer. 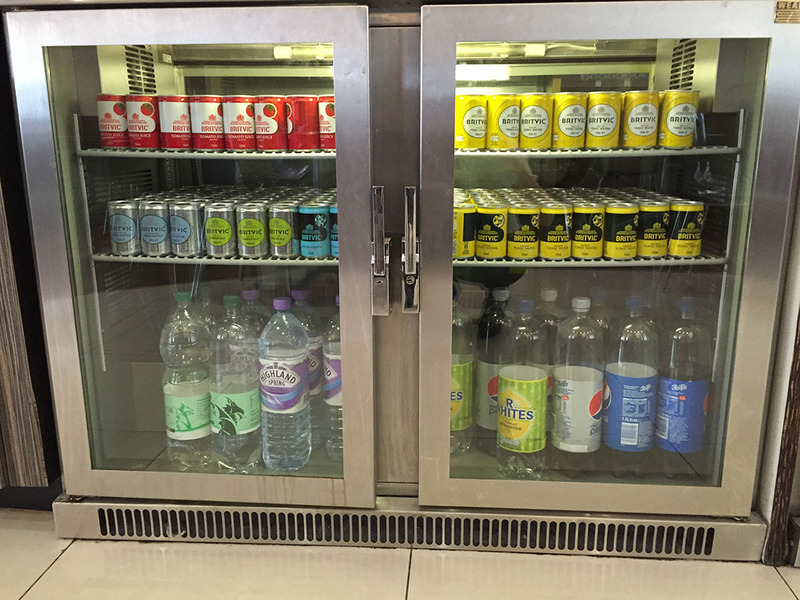 The last time I travelled through London Gatwick’s North Terminal (to Monaco) I used the No1 lounge and found the tables to be grubby and untended, it was rather hectic and I always find that the drinks seem to be lacking in this lounge (sparkling water from a tap, diet coke also from a tap- both virtually flat). I may simply have been unlucky and have hit on peak time traffic but it convinced me to give the Aspire lounge in Gatwick North Terminal a go. 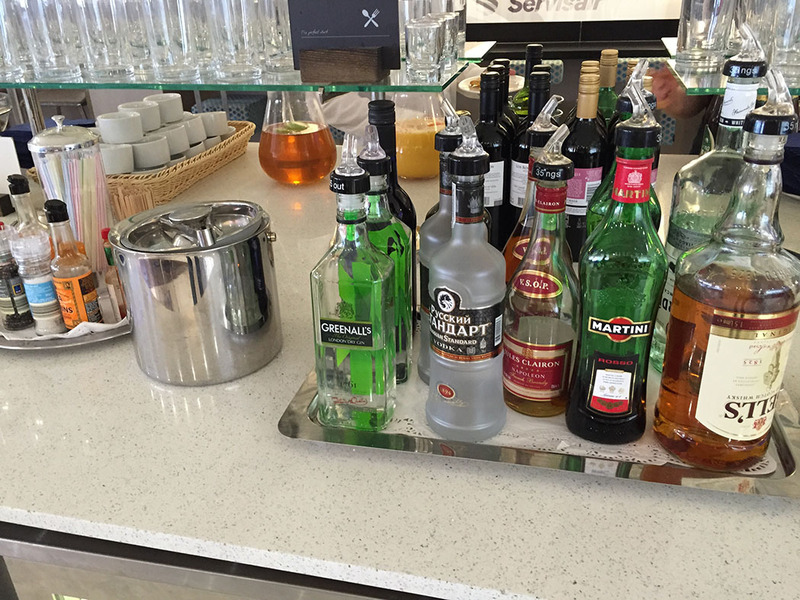 So how was this Aspire lounge? 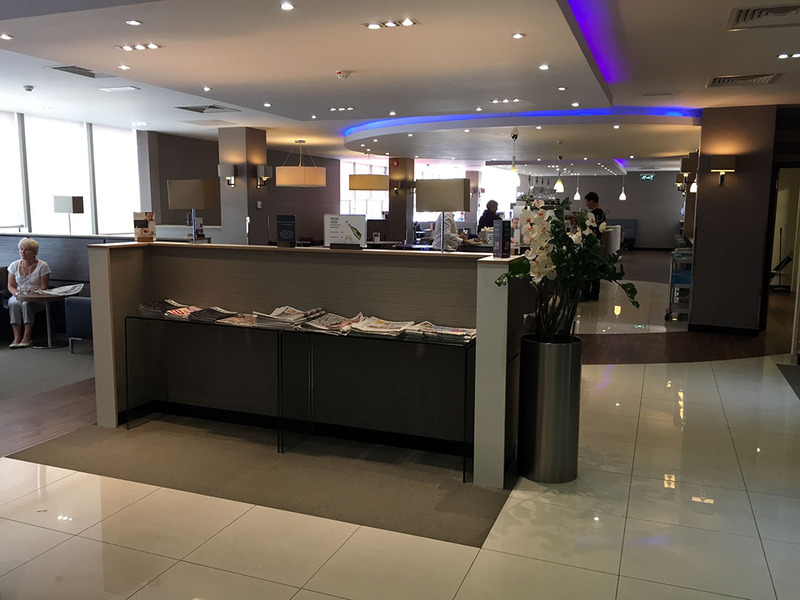 It is reached down the same corridor as all the lounges including the BA lounge, you just nee d to hop in the lift which takes you straight to the Aspire entrance. 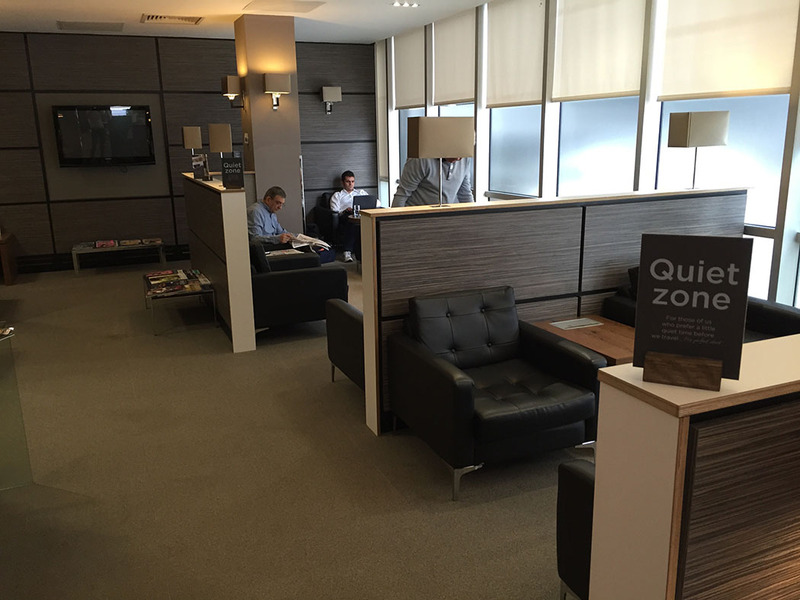 At £16 the Aspire lounge comes in cheaper than the No1 Traveller lounge (which costs £25 when booked online) and the same price as MyLounge which offers the least facilities. Size wise, the Aspire lounge it is smaller than the No1 Traveller lounge but as such felt less hectic even though it was quite busy. There were plenty of tables and chairs and comfy sofas in the “quiet zone”. There is only soup as a hot food choice, otherwise there are plenty of biscuits, olives nuts and pasties to choose from. What I like about this lounge over the No 1 Traveller is the drinks, coke and sparkling water are available in bottles that you can pour out. 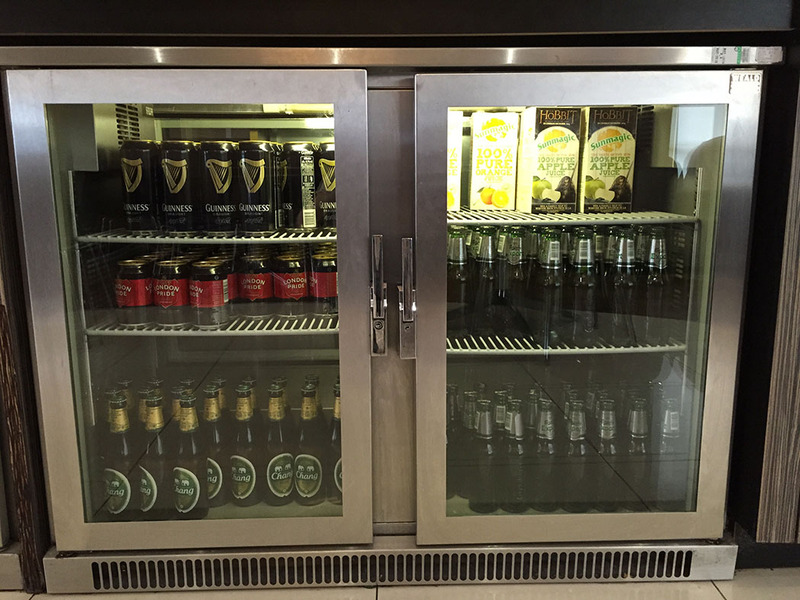 There is a huge selection of drinks, all self service, wines, spirits, beers britvic soda water etc. 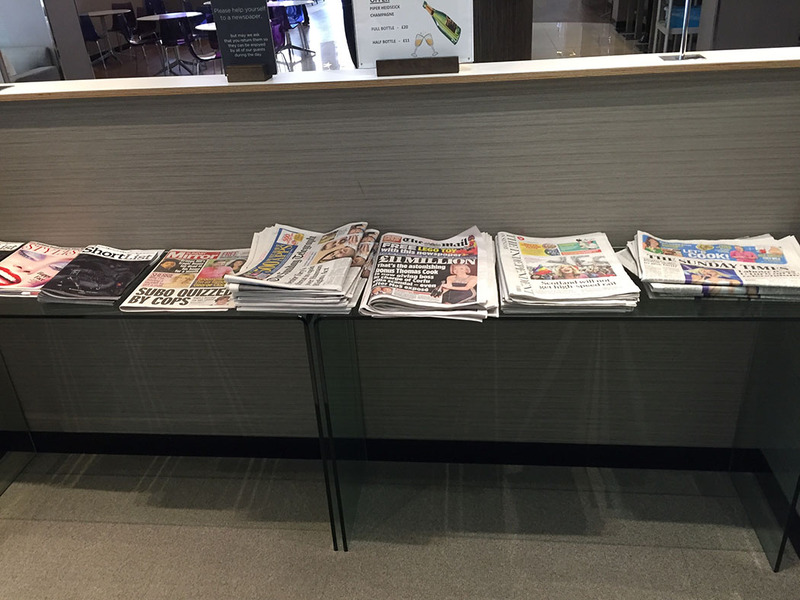 plus plenty of newspapers and magazines. What it doesnt have is the complementary hot food menu of the No 1 Lounge, quite the selection of magazines, or a kids cinema room. 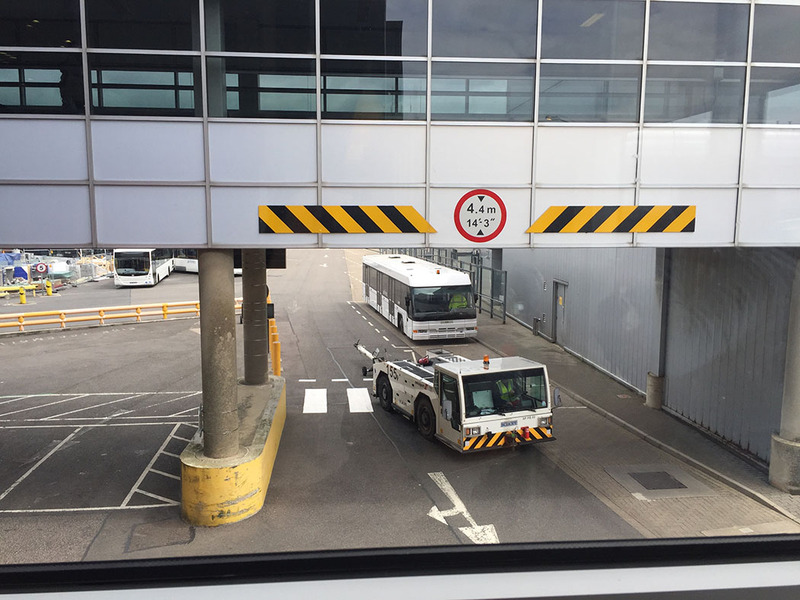 The only other notable difference is the view, which is over a road in the Aspire lounge as oppose to the planes in the No 1 Traveller – oh and the slow internet connection which I haven’t noticed on previous trips at the No 1 Traveller Lounge. 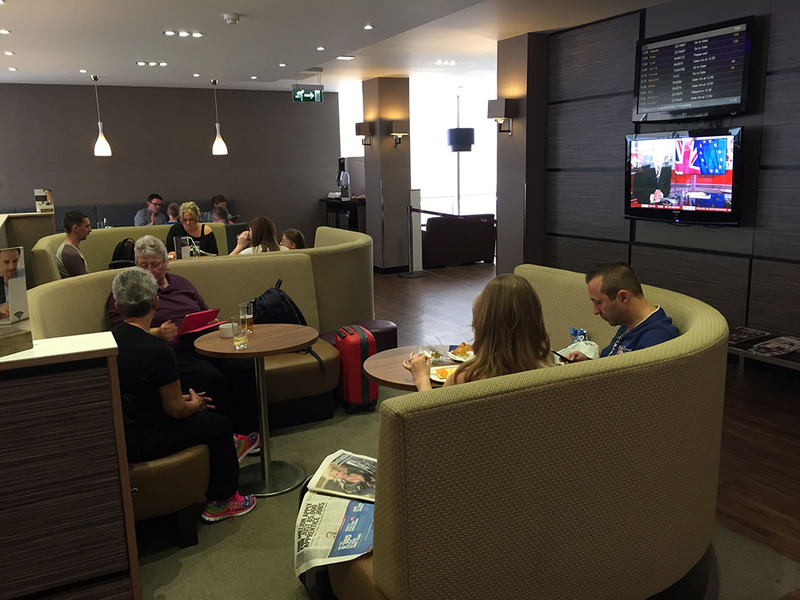 So we come to the question of which lounge is best in Gatwick North Terminal? 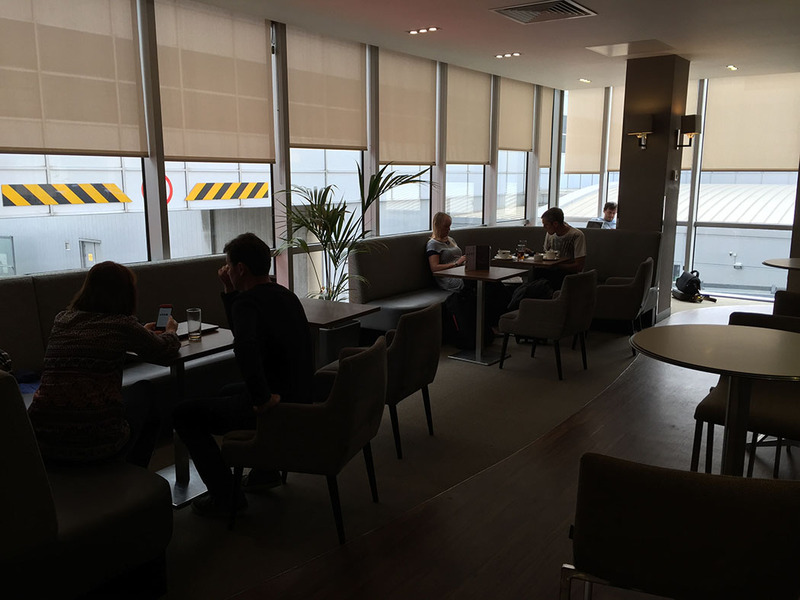 It would have to be the No 1 Traveller lounge for the view, the selection of food (salads set out, hot meal choices, more extensive selection of magazines). 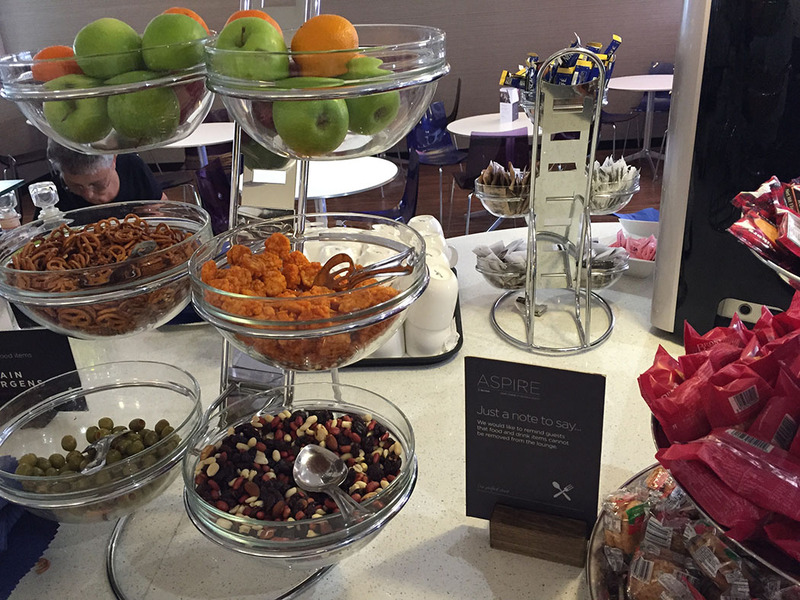 If you have a Priority Pass, the No 1 Lounge is the better offering even without the choice of drinks, but the competitive price of the Aspire if you are booking unrelated to a lounge pass makes it an excellent choice. For me, the best seat in the Aspire lounge is the window seat at the far end which has more privacy whilst still being able to see the departures screen. 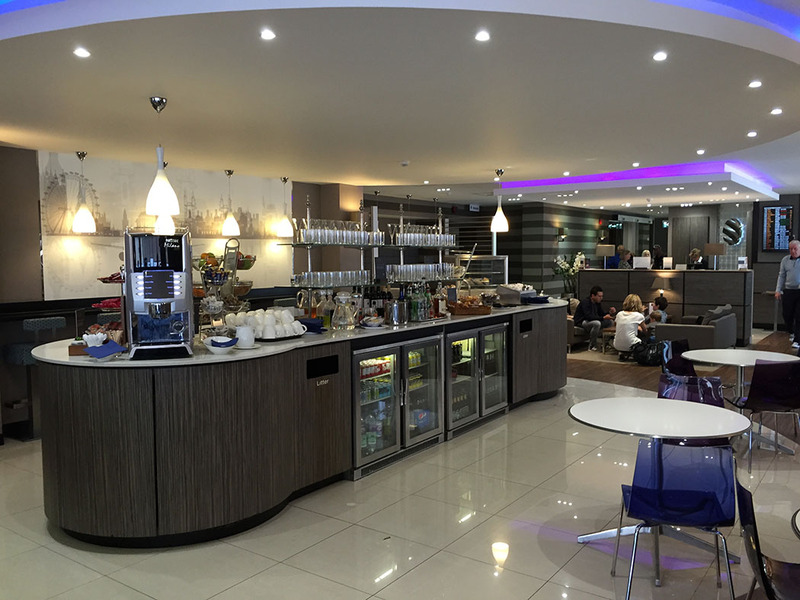 If you miss fizzy coke and sparkling water which are sorely lacking in the No1 Lounge, the Aspire Lounge is certainly worth a try. I will be mixing it up with a slight preference to the No 1 Traveller lounge for future flights – at least until I become a BA Silver Tier member and I have access to the British Airways lounges and in particular in the British Airways lounge in Gatwick North Terminal.